Simply understated! 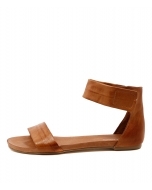 Classic and versatile, this leather sandal is the perfect addition to any summer wardrobe. Style them with any of your favourite summer staples for the ultimate look.